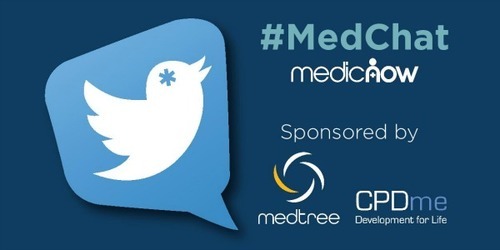 ​Great news: we’ve teamed up with CPDme and MedTree for a fantastic #MedChat partnership. Your participation in our weekly tweetchat will now be officially recognised by CPDme. If you’re a #MedChat participant, you’ll receive a specific code each week at the end of the discussion to access the CPDme system. Once there, simply fill in your name and email address and upload a reflective account of what you learned during the discussion. The system will then generate a digital PDF of your reflective account and a #MedChat Certificate of Attendance, which will be dropped into your CPDme portfolio. If you’ve signed up to the CPDme Mobile App, your certificate will automatically appear there too. You’ll be able to access the #MedChat form via the CPDme website at www.cpdme.com/medchat - don't forget your code though! What’s more, each week, MedTree, the leading distributor of emergency medical supplies and equipment, will be giving away a free 12 month Subscription to CPDme Premium and 12 month Access to the MedTree Trauma Care Video Library, worth a total of £75 to one lucky MedChatter for the best tweet of the evening, or the best contributions throughout the chat. If you’ve never joined us for #MedChat before, don’t worry, it's free to participate. We welcome ambulance professionals, doctors, paramedics, clinicians, policy makers and students from the UK and across the globe to join in with the chat. We convene every Thursday at 8pm UK time on Twitter, to discuss ambulance life, paramedicine, NHS policy, new techniques, new medicines, healthcare and wider issues related to our work. It’s an informal affair and a great platform to learn from fellow colleagues. Now, thanks to CPDme and MedTree, you can make it count towards your career. #MedChat takes place on Twitter every Thursday night at 8pm. In June, it was awarded ‘Best Use of Social Media’ at the Global Recruiter Awards in London.